The Media Indie Exchange (MIX) is all about the games – developed by indies, indie game enthusiasts and industry professionals, The MIX was created to provide an experience for developers to share their carefully crafted experiences with the press and friends in the development culture while supporting the community, and provide casual yet professional opportunities for developers to raise their visibility. 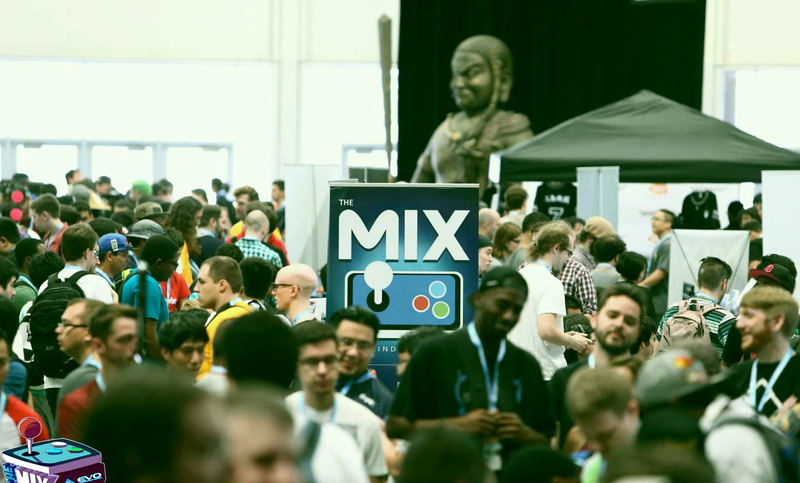 Beginning with the first event during GDC week in 2012, The MIX has featured award-winning games from developers around the world for all platforms and channels. Core MIX events are evening receptions, for press and industry folks to come check out amazing indie games. The MIX also periodically explores other kinds of executions – for example, in the exhibition hall at shows like South by Southwest and SIGGRAPH, events for gamer attendees during PAX and custom projects for partners (recently, for Intel and Unity). The MIX team organizes all set up, break down and logistics for the event – venue, fixtures, electricity, signage, guest lists and more. We then provide set up and admission instructions for those we confirm for each event. Charges to developers off-set hard costs we incur for running these programs and the team’s time, and also help in expanding with new programs to drive more visibility and awareness for indies. We keep these fees as low as possible for indie developers with limited budgets. We periodically have equipment provided by partners for events as well – e.g. monitors, controllers. The specific fee amount varies by event (higher costs for exhibiting on show floor for multi-day event than evening reception). Whenever we open up submissions for new events, we include information about the event-specific fee. We have a $25 fee for each game submission at each event to help cover submission review and processing related needs. What’s the selection process for games that present at MIX events? Our team reviews all submissions to identify the best fits for each event. We look for fresh ideas, high-quality executions, fun gameplay and unique angles, and for representation of games across a range of platforms and devices. While games periodically exhibit at more than one MIX event, we strive to keep the line up as diverse as possible from event to event, minimizing repeats. While visitors to MIX events enjoy seeing games that have gained buzz and acclaim, they also appreciate opportunities to see cool games that they’d never seen of or heard about before. How do I find out when you’ll have MIX events, open up submissions for events and other opportunities? Sign up for the newsletter and join us on Facebook and Twitter to stay up to date on MIX plans! We post timely news and announcements there. How do MIX event sponsorships work? Sponsors can support this setting for indie game awareness building and align their brands with top caliber content through MIX event sponsorships. Companies interested in MIX sponsorships can reach us by emailing info [at] mediaindieexchange [dot] com. Who is The MIX team? The MIX began in 2012 with a core group of indies coming together to play fresh games in the IGN offices. Cryptic Sea’s Alex Austin and Interabang Entertainment’s Justin Woodward started the early events, working closely with IGN’s Todd Northcutt and indie business veteran John Polson. Justin continues to run MIX events, along with marketer Joel Dreskin, operations manager Executive Travis Carver, and social media expert Matt White. An extended team comes together closer to MIX event dates, contributing in a variety of areas. You can contact us at info [at] mediaindieexchange [dot] com for any additional questions.